Comics Contest Winner and other Participants! 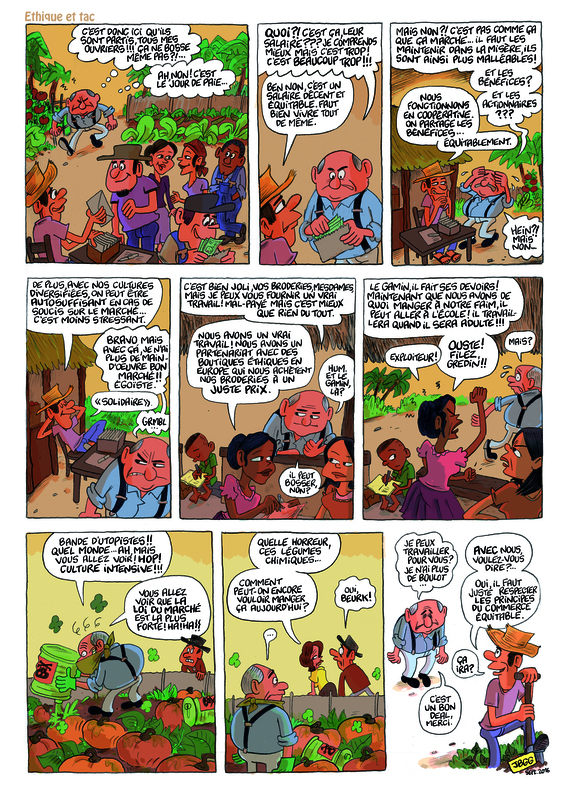 As you may know, here at WFTO-Europe we have organised a Fair Trade Comics Contest to raise awareness about Fair Trade Principles using a popular mean in Belgium: comics. Unfortunately, the turnout was quite low, so we have decided not to hold an exhibition of the comics. We would also like to thank all participants for taking the time to take part in this contest: you did a great job! 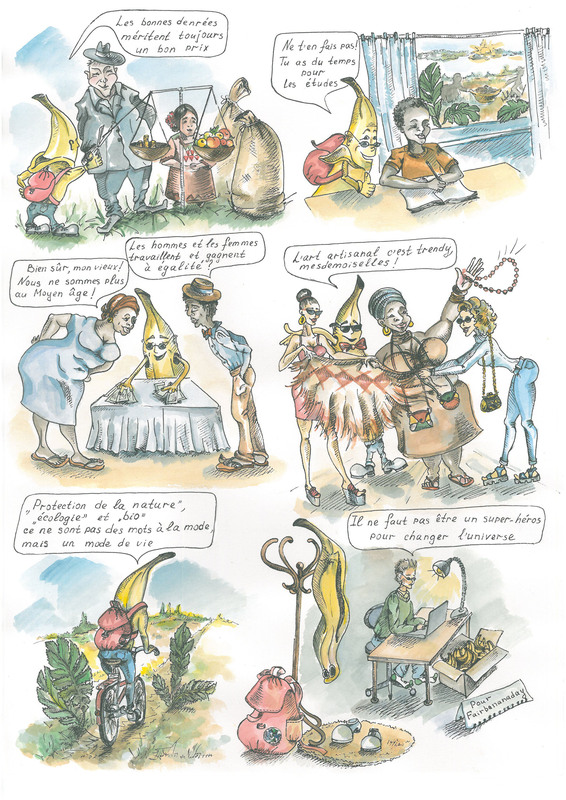 Today we share with you the winning comic chosen by the jury, alongside the other comics that we have received. 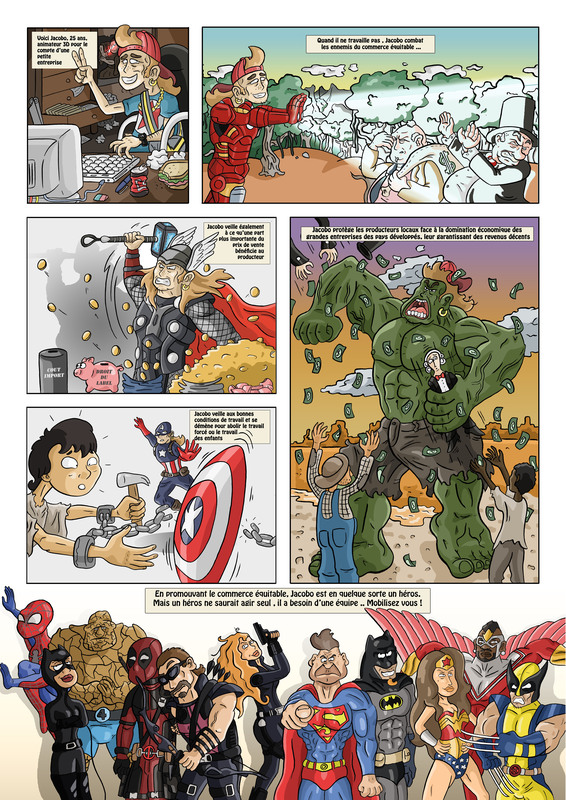 – Yacine Canamas, an independent Comics Artist. Thank you again to everyone for participating and should we decide to organise a new comics contest next year, we truly hope to hear from you again!